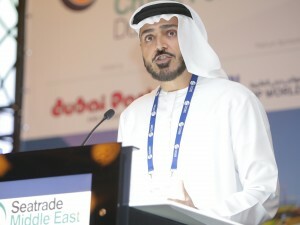 In a keynote address at the opening session of Seatrade Middle East Cruise Forum, Issam Kazim, CEO, Dubai Corporation of Tourism and Commerce Marketing (DCTCM) confirmed that Dubai remains on track to receive one million cruise passengers by 2020. Addressing delegates, he also referred to DCTCM’s plan to ensure that cruise passengers felt the ‘soul’ of Dubai and there would be an extra concentration on excursions showing the heritage of the city and its older parts. Around 17 cruise line executives from 14 of the world’s leading cruise lines attended the annual two-day event held at Lapita, located within Dubai Parks and Resorts, Dubai. The programme focused on a number of key discussion points, including extending seasonality, opportunities for niche cruising, port and destination development, link with India, the Suez Canal and Red Sea, shore excursion offerings, supporting the needs of the crew and exploiting the potential for inbound Chinese tourism. The event’s return to Dubai reflects the regional significance for the future of cruising in the Arabian Gulf. Dubai Parks and Resorts, the region’s largest theme park destination announced the introduction of a special summer pass for visitors to enjoy access to the destination and four other attractions across Dubai. The dxbpass offers guests the chance to tour the world class theme parks at Dubai Parks and Resorts — Bollywood Parks™, MOTIONGATE™ Dubai, LEGOLAND® Dubai and LEGOLAND® Water Park, as well as Hub Zero, Mattel Play! Town, Green Planet and Splash Pad, along with a 20% discount on selected restaurants at Riverland™ Dubai and Lapita™ Hotel. The pass was introduced for purchase on June 4 and will be valid from June 15 to August 31. It can be booked online, on its website. In addition to the dxbpass, Dubai Parks and Resorts is also organizing a two-week edutainment Summer Camp, allowing children to play, explore and experience unlimited fun at Dubai’s best attractions. This two-week Summer Camp offers endless opportunities to engage children’s curiosity as well as boost their confidence and creativity at locations across the city. Experiences vary from treasure hunts at LEGOLAND® Dubai and Green Planet to indoor dance classes at Bollywood Parks™ Dubai and MOTIONGATE™ Dubai as well as movie experiences at Roxy Cinemas. Lapita Hotel officially opened its doors to receive its first guests. A part of Dubai Parks and Resorts, the region’s largest integrated theme park destination, Lapita is an exotic Polynesian themed resort hotel with 504 rooms, including 60 suites and 3 private villas. 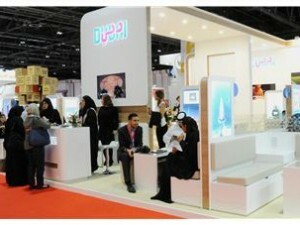 Room tariff may range from AED 1400 to AED 4500. Drawing its inspiration from the exotic Polynesian tropical landscapes, the hotel features colourful flowers, lagoon style pools, luxurious guest rooms and themed children’s activities. It is centrally located and easily accessible from Dubai and Abu Dhabi and only 63km from Dubai International Airport, 69km from Abu Dhabi International Airport and 23km from Dubai World Central – Al Maktoum International Airport. Within walking distance, hotel guests can have access to three department stores, family attractions, international dining and over 125 brands. As the excitement begins, Dubai Parks and Resorts announced the daily ticket prices for the theme park destination which will open on October 31 this year. Pre-purchased standard adult tickets will range from AED 240 to AED 330 for a one-day single park ticket, and will range from AED 480 to AED 890 for a multiple parks multiple days’ ticket. This unique destination is comprised of three theme parks – Bollywood Parks Dubai, MOTIONGATE Dubai, and LEGOLAND Dubai, together with the LEGOLAND Water Park. 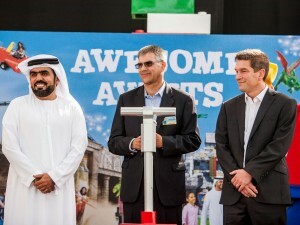 Guests will have access to nearly 100 exciting rides, attractions and shows on opening day at the destination located on Sheikh Zayed Road opposite the Palm Jebel Ali in Dubai.The gateway to the destination is Riverland Dubai, offering over 50 themed retail, dining, and entertainment experiences set across a waterfront district which is free for all to enjoy. The destination also hosts the Lapita Hotel, a Polynesian themed family hotel. Online ticket sales will go live shortly. Dubai Parks and Resorts will also feature a VIP ticket priced at AED 1,500 per park per day that will give guests a wide range of benefits, including but not limited to Q-Fast front of line access, a personal tour guide, discounts on food and beverage and retail purchases. Regular daily ticket holders will be able to purchase the Q-Fast line access separately to enjoy reduced waiting time on rides and attractions, prices of the Q-Fast access for each theme park will be announced closer to the opening. Dubai Parks and Resorts will open to the public on 31 October 2016. 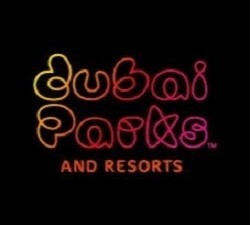 Annual passes are currently on sale and available at DubaiParksandResorts.com.